And so I just kept adding more and more netting . . .
until there was a mountain of netting. This is what 20 yards of the stuff looks like. 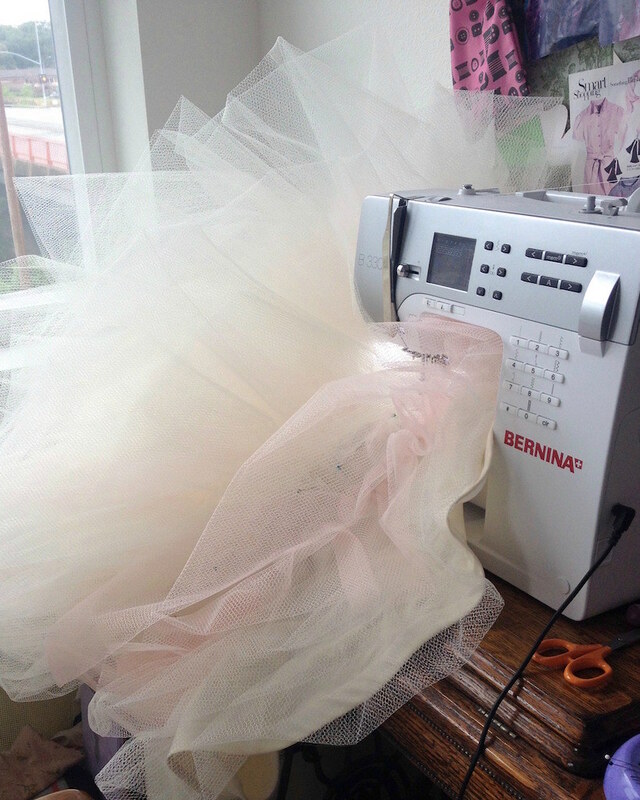 I am not sure any more bulk would fit through my sewing machine! 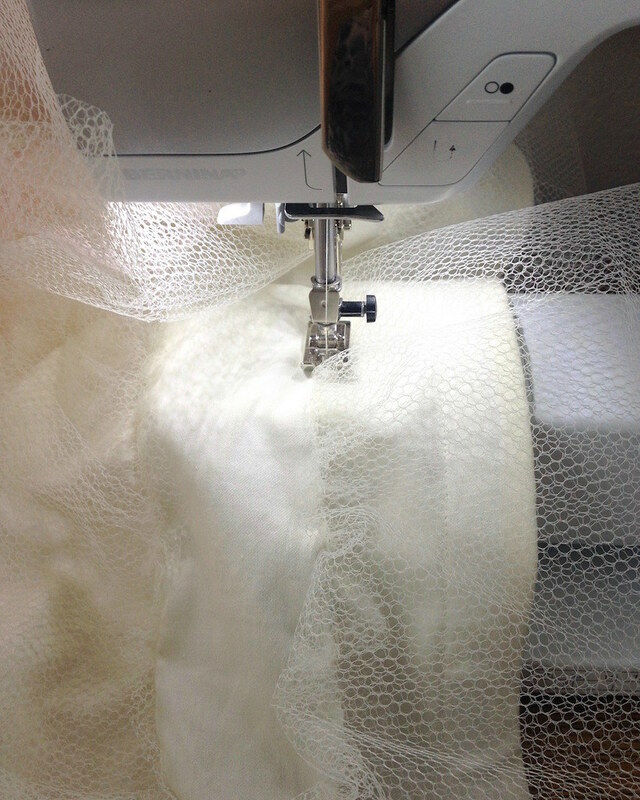 Then I hemmed the cotton lining with a one inch horsehair braid. This will help to keep the cotton skirt hem from collapsing and/or getting caught between my legs when I walk. 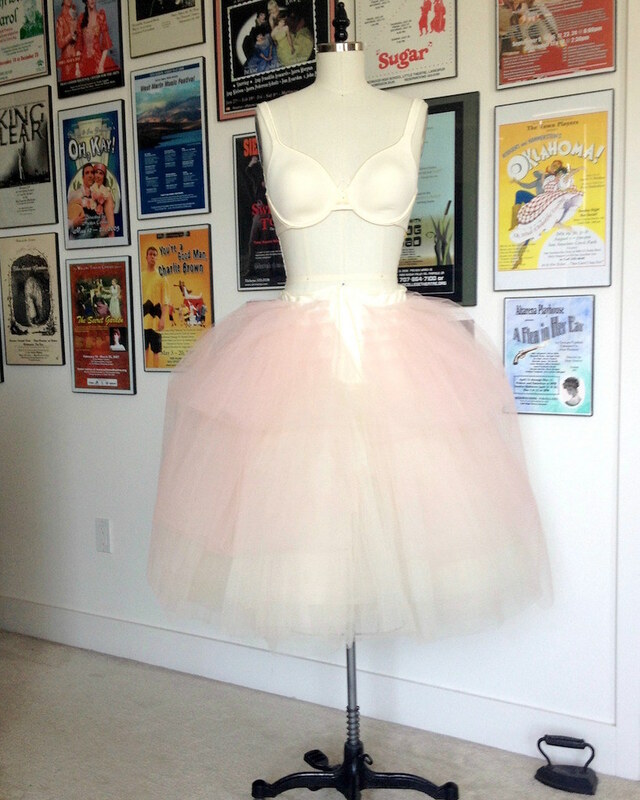 My initial thought was that I would attach this piece to the corselette. However, with the amount of netting on this skirt, it suddenly did not seem like such a great idea. That, and trying to pin the two together was getting on my last nerve. 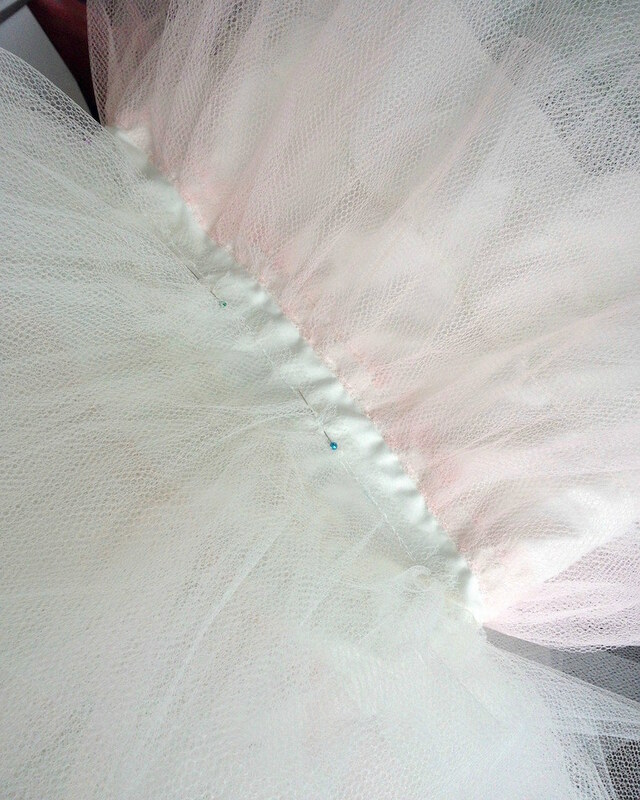 With time running out, I found some grosgrain ribbon in my stash and attached it to the cotton portion of the garment. It is not pretty, but it does the job. 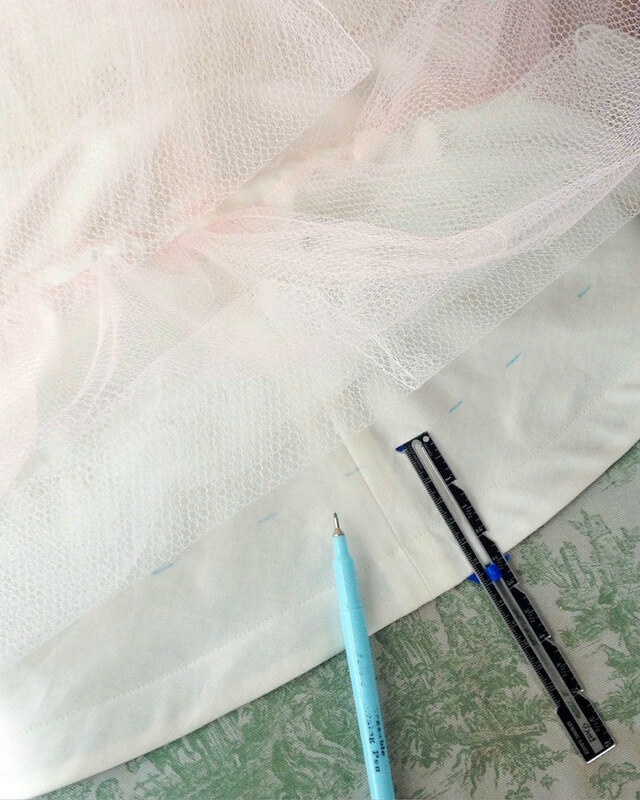 A skirt hook & bar closes the waistband just off of center front. 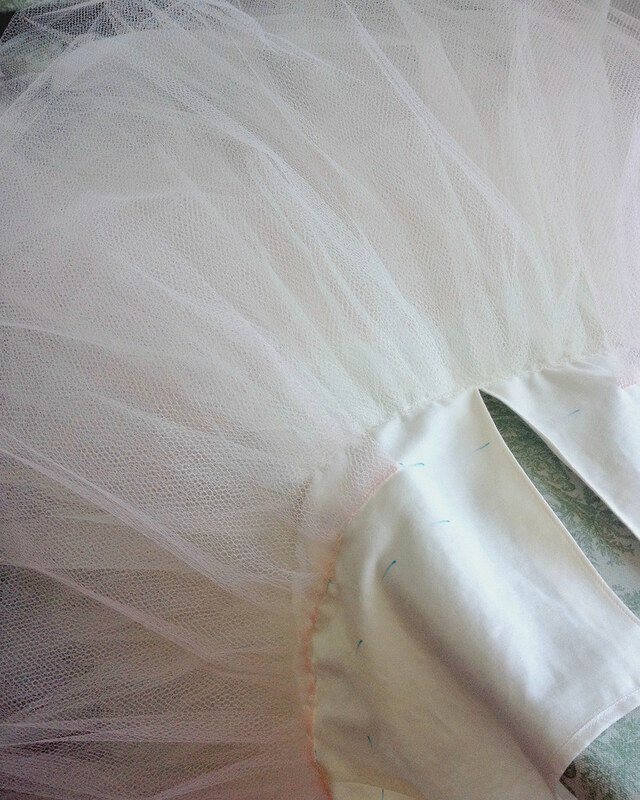 And that is one fluffy petticoat. Only time will tell if I can fit in my car while wearing this! 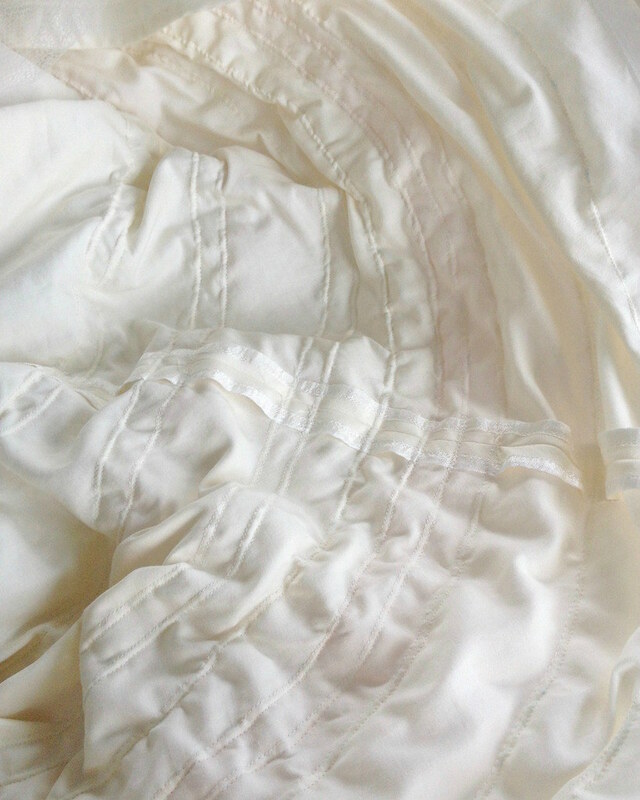 Lovely petticoat, you've put a lot of work into it and it shows. Nice Job! This is why I read your blog. You attempt the scarcely imaginable, and succeed unimaginably well. 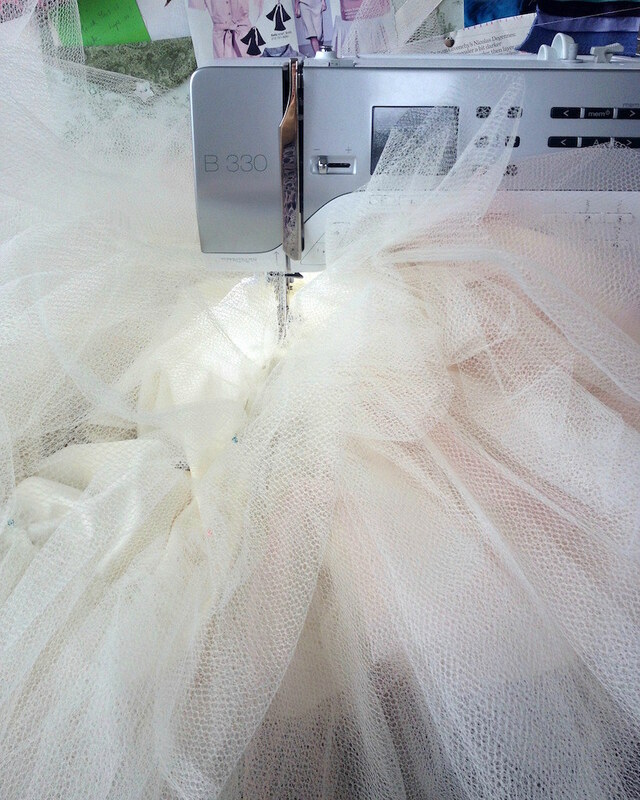 Holy moly, that is one fluffy petticoat! Is this made of the stiff kind?